A) What is the purpose of your invention? 5. Further flexibility and optimal softness of the bristles. 6. Developed so that gums and teeth can be brushed at the same time. B) How does the invention works? 1. The moving head toothbrush consists of 3 parts, a toothbrush head, a plate with toothbrush bristles and a rubber spring. 2. Unlikely regular toothbrush head, a plate with bristles was cut finely from the toothbrush head and put a plate back into the toothbrush head. 3. The bottom of a plate is attached with a rubber spring. 4. Unlikely regular toothbrushes when you brush with it, you can feel a plate with bristles moves freely in 6 directions in the toothbrush head by rubber springs according to the curvatures of teeth and gums. 5. 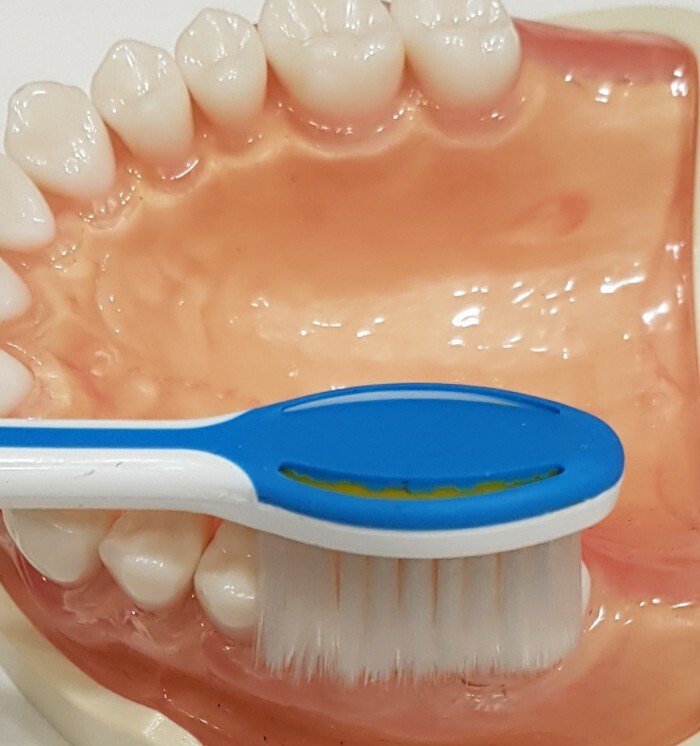 The toothbrush bristles of a plate moves by the elasticity of rubber spring, which can be closed to the teeth and gums, allowing for complete removal of plaque and food debris. 6. The elasticity of rubber spring relieves excessive toothbrush pressure and as a result it can be preventing tooth wear and gum damage. 7. 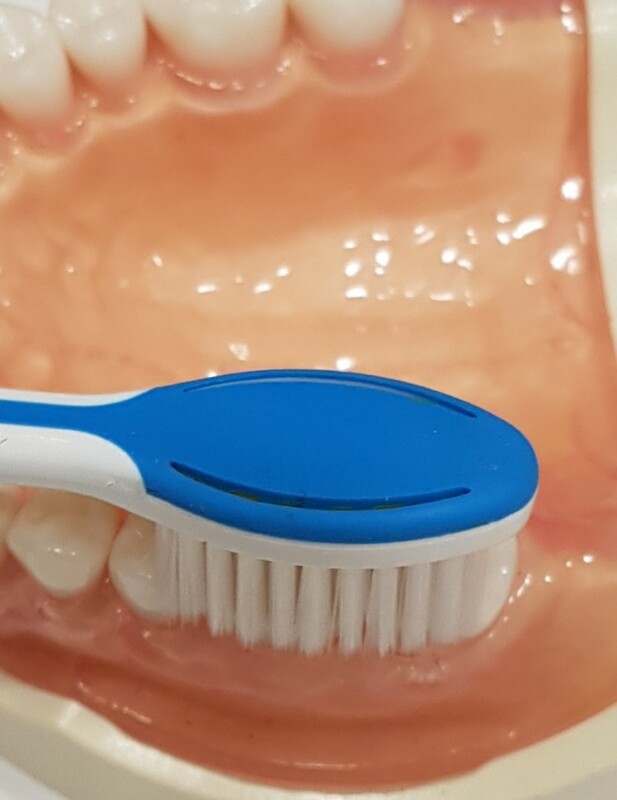 Scientific principles were applied to it, as a result the movement center point of the toothbrush bristles shifted to the bottom of a plate from the top of the toothbrush head. 8. For the reason of 7. the length of toothbrush bristles have longer effect as the height of toothbrush head for toothbrushing. and as a result it's bristles are more softness. 9. For these reasons the moving head toothbrush prevents tooth wear and gum damage when you brush than ordinary toothbrushes. 10. While you brush with a moving head spring toothbrush, you can keep your teeth and gums healthier with a fun, easy and fresh feelings. -3) what is the market potential; This moving head spring toothbrush is easy to brush. It also makes you feel fun, clean and fresh. It is expected to replace common toothbrushes in the market in the future. -4) whether you have specific conditions for the sale; nothing in mind at the moment. 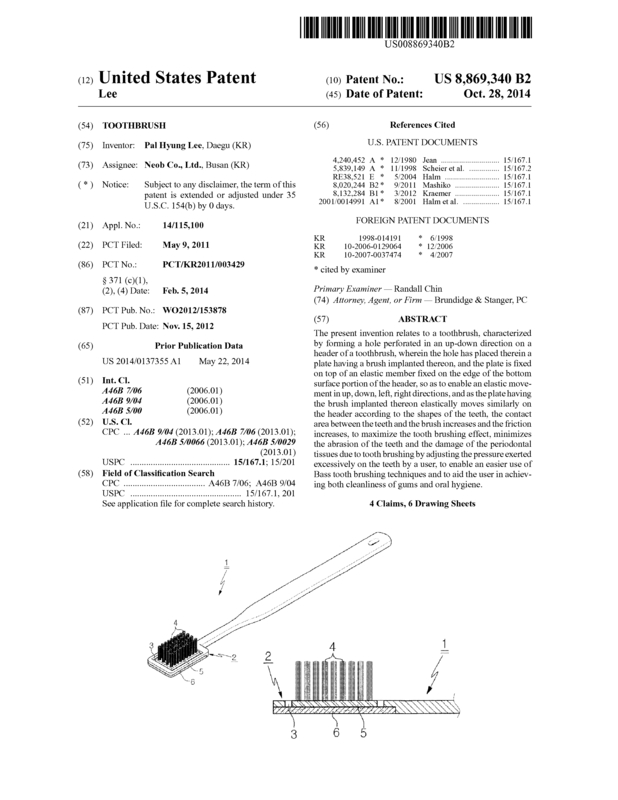 Page created at 2019-04-21 18:16:20, Patent Auction Time.